Take a trip to Lake Henry, New Hampshire, and fall in love with this romantic suspense by the New York Times bestselling author of Lake News. Lake Henry, New Hampshire, is buzzing over the annual maple syrup harvest...as well as the shocking revelation that long-time resident Heather Malone has been led away by the FBI, which claims the devoted stepmother and businesswoman fled the scene of a fatal accident in California years before. Poppy Blake, her best friend, is determined to prove Heather's innocence, while facing past mistakes of her own: she has never overcome her guilt from the snowmobile accident that killed her partner and left her paralyzed. Playing an unlikely role in both women's lives is investigative journalist Griffin Hughes, whose attraction to Poppy keeps him coming back to Lake Henry, even though he is secretly responsible for drawing the law closer to Heather. To redeem himself, Griffin sets out to solve the mystery surrounding Heather's predicament and becomes the key to freeing Poppy from her own regrets and showing her a rich new future. I have no idea why I rented this book as I do not care for generic romance novels. This book is poorly written and the reader should not have even tried a New Hampshire accent (which comes and goes). I couldn't finish it. 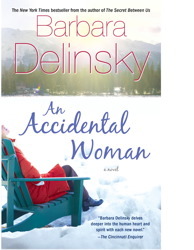 Very little character development, highly predictable plot, lots of circumstances that are used as a crutch to support the weak story line - B. Delinsky had a free weekend - "Hey, I'll write a book"
This was a solid read with the exception that the author expects us to believe that a couple could live together for years without the slightest mention of the past. Perhaps a couple could ignore past romantic details but could they really share a home for several years, could the man who had two children when they met - live in the same house and allow her to care for his two young children without asking; where did she come from? did she have family? what the weather might be like? Odd premise but slightly interesting. Excellent story. Kept me wanting to listen from the "get go". Great characters...especially Poppy. Wish I knew what she looked like. I loved this book! Poppy was really an interesting character and I loved hearing about her life and how she got along after her accident. Good easy read with a wonderful reader-she was fun to listen to. The only thing I didn't like was that it didn't come in an unabridged version, I always feel like I am missing too many details in abridged versions. I will definitely read more by this author- great story! I thought this was a delightful easy listen - entertaining and well-read. Although this book will never be listed as a literaure classic anywhere, it was amusing and kept my mind off my drive. Fairly predictable and weak on character motivation, it's not compelling enough to make one sit in the car listening to the end of a chapter... If you like popular, modern day romances with a tinge of mystery, you'll like this. It's a basic girl meets boy and overcomes adversity to be together tale with a few not-too-original twists. Good story- a little hard to follow at times but a nice story. I really enjoyed this book. The end was rather predictable. But this was a very good story. I thought the characters were a bit stuffy and predictable.